What’s the story with hosting? What do I need? What do I need to know? What about my emails? What’s my domain? These are all the many questions we get asked about website hosting and domains. Web Domain Names - These are the URLs that define your website. Your domain is the name of your website e.g. Kindleman.com.au. Domain names need to be ‘bought’ which is actually registered for a fee. This registration lasts two years and then must be renewed or you will lose your domain name and someone else can buy it. It pays to stay on top of the renewal notifications as losing your domain can be catastrophic. Just ask Microsoft! 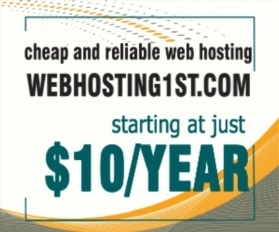 Website Hosting - Websites are stored, or hosted, on special computers called servers. In the ‘olden days’ companies would host their own websites on their company servers. These days with the requirement for speed, security and reliability most websites are hosted by web hosting companies called Hosting providers. Website builder hosting is good for beginners who want to create a website but don’t have any technical skills. These use drag and drop editors to create sites and generally incur a monthly fee e.g. Wix or Squarespace. Shared hosting is when many websites share the same physical server and server applications (software) and cost of the server. This is good for small to medium sized websites that do not require complex processing. Dedicated Hosting means the entire server is used for your website and you pay for the entire server. This works for large websites that require fast speeds for complicated processes. Cloud Hosting is when websites are hosted on Virtual servers (not physical servers). These virtual servers are built, hosted and delivered via a cloud computing platform via the internet, and can be accessed remotely. They are also known as virtual servers. Email Hosting - An email hosting service is an Internet hosting service that operates email servers. They cater mostly to demanding email users and small and medium-sized (SME) businesses, while larger enterprises usually run their own email hosting services on their own equipment using software such as Microsoft Exchange Server. Often website hosting will include email hosting. In recent times Webmail providers have taken over a significant portion of the email hosting business - Gmail, Hotmail, Yahoo mail. The great advantage of webmail is the ability to send and receive email anywhere from a web browser. Do my Website and Email need to be hosted together? No, website and email hosting can be separate. At Kindleman, we use a combination of the above to manage our client’s websites. Generally we use Managed VPS hosting in the cloud for it's reliability, security and cost effectiveness. Modern cloud based VPS services allow us to allocate the right amount of resources to even small, simpler sites whilst still retaining the flexibility, performance and reliability benefits of a VPS. These can then be vertically scaled up on demand as required for more complex, larger or higher traffic sites. For email we recommend Gsuite for it's ease of use and speed of set up but we also use Rackspace for clients who do not wish to walk the Google path. Each client is different and we try to craft the best solution based upon a clients requirements.